Our mission at Ranchweb is to help you match the right ranch with your family. When you get that perfect match, you can form a lifelong connection, and have a dude ranch vacation you’ll never forget. But what kind of ranch to visit–luxury resort, working cattle ranch, kids-oriented or spa-oriented, or a combo of several types? And do you want to go to Wyoming, Colorado, or a state much closer to home? Given the hundreds of dude ranches there are, finding that match can be like, well, herding cats. At Ranchweb.com we’re here to help. Gene Kilgore and his team have personally visited ranches throughout the world, and have documented all the details (and photos) you could ever want about hundreds of ranches. And the amazing search programs at Ranchweb will make your search a computer-aided breeze. Click over to it and you’ll find several special features to help narrow your choices (and we provide detailed information on more than a hundred ranches located all over the country). Check out our exclusive Space Availability Finder and the Dude Ranch and Guest Ranch Search Engine helps you check out ranches and lodges that meet your preferences. For example: the price range, ranch activities you want, and whether or not you will be traveling with children. Then, narrow the list by selecting a specific state, province or country, and click one of the resulting ranches or lodges to find more details on activities, accommodations, rates, food, kid’s programs and an array of photographs. Or just go to the Ranch Categories page, showing more than 100 categories designed to help you find ranches that meet your specific interests. Want to combine some fishing with your guest ranch vacation? Click on Fishing and more than 80 ranches show up. Golf? See about 75 ranches. Or look for ranches with spas, pack trips, winter programs, conference facilities, riding specialties, resorts, working cattle ranches, cattle drives, and so forth. At Ranchweb’s Interactive Map, you get a bird’s-eye view of the area you would like to travel to. Click on an area of the map and zoom into a state or province to see a listing of dude ranches and guest ranches. Then, just click on a ranch listing for more information; use the navigation tools at the top or bottom of the page or use the back button on your browser to review additional ranches and lodges. Finding the right ranch for you and your family can be a breeze. There’s a NEW BOOK coming out soon. Gene Kilgore’s Ranch Vacations 2011 ($22.95), the ultimate guidebook to all the best dude and guest ranch resorts around. Featuring more than 100 ranches across the country and the world, the guide this year takes on a new format and an easier-to-use size. Featured on the cover is Montana’s newest ranch, the luxurious Ranch at Rock Creek. The book, Ranch Vacations 2011, will be available on soon on Amazon and also on Ranchweb.com. Look for it! It’s peak season in Arizona right now. From the Bar 10 Ranch to the White Stallion Ranch, Arizona has great spring weather and a ton of variety. Bar 10 is near the magnificent Grand Canyon and serves up a choice of western ranch activities, delicious country-style meals, and real western hospitality, and lets you combine your trip with an exciting river rafting trip on the Colorado River through the Grand Canyon. Its run by the Heatons, fifth generation ranchers on the North Rim of the Grand Canyon. White Stallion is set in the wide open, unspoiled Arizona desert, yet is easy accessible to Tucson. With the the True family at the helm, White Stallion Ranch has established a reputation of caring about customer service and a real dedication to providing quality family vacations. 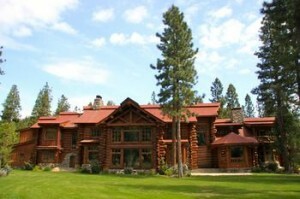 The southwest ranch style cabins offer everything from small rooms for singles to deluxe suites. All rooms have plenty of comforts: air conditioning, private bath, tub/shower combination. Most have a queen bed plus a twin bed or a king and the deluxe suites have fireplace, whirlpool tub, king-size bed. Ranches in the land of Hollywood, movie stars, and Silicon Valley? Yep! Ranching has a long and fabled tradition in the golden state, and you can still tap into that history at some seven dude and guest ranches here, from the lovely Alisal Guest Ranch in SoCal to the luxurious Sierra Ranch Retreat in the high country. Spring is glorious in California (and so are the spring package deals). Golf, horseback riding programs, and fabulous dining. A storied past includes visits from the Reagans, the Clark Gables, and many more celebs who didn’t want their names mentioned (no pictures, please!). What more could you ask (except, maybe 73 cottages range from one-bedroom studios to executive suites). 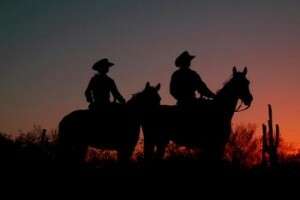 Don’t forget to check us out on Facebook ( www.facebook.com/ranchweb) for news, fun, and even a few horse laughs.